Book review: Odd Nansen, a non Jewish survivor of the Nazi camps of WWII, wrote a diary that may be the most epic narrative of all. Rochel Sylvetsky is Senior Consultant and op-ed and Judaism editor of Arutz Sheva's English site. 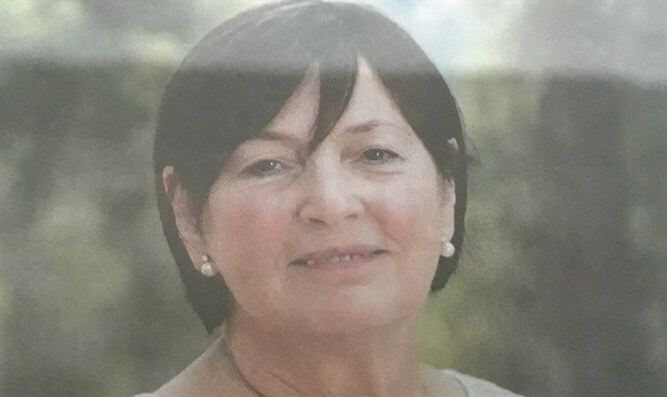 She is a former Chairperson of Emunah Israel,1991-96, was CEO/Director of Kfar Hanoar Hadati Youth Village, member of the Emek Zevulun Regional Council and the Religious Education Council of Israel's Education Ministry as well as managing editor of Arutz Sheva (2008-2013). Her degrees are in Mathematics and Jewish Education. "From Day to Day" was not a relaxing read, nor was it a quick one; instead, it was a gripping and unforgettable experience. It took me a long while to decide on the use of the word "experience" in the context of reading a book, but I decided that since this was a book that made me feel as though I was living through its narrative as I went from one day to the next with its author, that word is the proper choice. My conclusion is that the book, or selected parts of it, should be required reading for students as part of their history or Holocaust studies, not just because it tells the story, but because it penetrates to the essence of the sham that 20th century Western civilization was, when one evil manipulator brought out the savagery lurking close to the surface of all too many followers. From every level of society. "From Day to Day" is the 640 page diary of a highly articulate, intelligent and decent (as he is called by a dying Jew who is beyond the help that Nansen was powerless to give him anyway, and yes, ordinary decency may be the best, understated way to describe what was lacking in the Third Reich) non Jewish survivor of a series of WWII Nazi concentration camps, from unpleasant and confining all the way down to the gates of hell. It is written in real time, as diaries are by definition, and all the more shocking for that, because what could be a repetitious day by day account is a riveting, unfiltered story of the inhumanity of one kind of man juxtaposed with the unbroken free spirit of a different kind of man. It is being printed in English after a 65 year hiatus, to be published on April 25, 2016, by Vanderbilt University Press, translated into flowing English by Katherine John. Look for it. The book is undeniably a masterpiece, filled with black and white drawings by the talented author that are the perfect and often macabre accompaniment to his story, but it also has significance that goes far beyond absorbing the horrendous, careful and meticulously detailed description of the 3 years that he, Odd Nansen, spent in German camps. Carl Sandburg called it an "epic narrative" and so it is. "From Day to Day" puts an end to any mistaken vestige of respectability granted to the various forms of Holocaust denial we have been subjected to, since the Nazi atrocities became public knowledge. Odd Nansen was, after all, a Norwegian architect who believed in humanity and his father, Fridtjof Nansen, was a famous explorer and world renowned statesman. Odd founded an organization to help refugees fleeing the Nazis in 1936 and was arrested in 1942, partially due to the machinations of his father's enemy – the infamous Quisling himself. He endangered his life even more by keeping this personal diary, meant for his own records and for his loved ones, writing on tissue paper, hiding the papers in a hollowed out bread tray and smuggling them out when possible. His status allowed him more food, packages from home and even visits at first, enabling him to observe and record. The masses of well researched and interesting footnotes in this edition thanks to Timothy Boyce's dedicated, scholarly efforts, add an historical dimension, and put paid to any attempts to wish away the Holocaust. The diary is being republished at a watershed moment for the Western world. Unintentionally, it shines an all too realistic spotlight on the cyclical nature of the story of man – a realism that resonates with us today, with anti-Semitism rearing its ugly head, when Jewish academics can be called "Zionist pig" in Brooklyn College, Columbia University hosts Israel Apartheid Week, the sham of free speech and respecting all "narratives" allows the shouting down of the "other" side, the UN Human Rights Committee is often headed by tyrants and terror is on the march. All this is in the Western world and does not even begin to include ISIS, Syria, Cambodia, Rwanda, Serbia – need one say more? Nansen himself is a fair-minded and straightforward man of integrity, as are many of the people incarcerated with him in Norway at first, some of them courageous, ordinary Norwegians, some teachers who refuse allegiance to the Reich, some young people who try to undermine the Nazi takeover. His heart aches for the Jews as he begins to realize what is happening to them and his descriptions of the bestial horrors they endured, his drawings of the skeletal Muselmenn were harder for me to read than the stories of my surviving family members who suffered in the camps. At Sachenhausen, Nansen meets a watchmaker named Keil who came from Auschwitz, left alive because the Nazis needed to repair the watches of all the murdered Jews. "His story completely paralyzed me. I asked about Rabbi Samuel (Chief Rabbi of Norway, aged 39 at his death, ed.) 'Oh. He died on the steps of a hut. He was returning from work, was done for, just collapsed and was dead. His brother…was sent into the gas chamber..Klein, the Klein family, oh, they all died in the gas chamber…all the rest of them, dead, all dead, starved to death, beaten to death, worked to death, or sent into the gas chamber.'" Nansen's cynicism and anger give extra power to his words: "The terror… continues. One of its victims has…had four hundred blows and his thighs and buttocks were in such state that they’ve been removed, amputated. The flesh had been flogged off the bone. He was a communist, no doubt, and I dare say he had also been helping Russians and Ukrainians with food. Now he meets his fate, his doom from those culture bearers who are saving Europe from Communism. The master race! " But the book also shows that people like Odd Nansen are a minority in this world, they cannot really affect the situation and the diary makes that painfully clear. They can help individuals, a wonder in itself when that takes immeasurable decency and courage, but good people do not manage to prevent any of the horrors their fellow humans bring upon the world. Still, they can testify to what they have seen if they do have that mixture of decency and courage. Most do not. Someone of stature once said to me that not all Germans were evil and not all Muslims want to kill Jews. That, I answered, is probably true, but it makes no difference. Six million Jews were killed despite the existence of good Germans and innocent Jews are being shot and stabbed today despite the existence of good Muslims. The good people can record events, but they have no effect on what is going on. They don't seem to have any effect on the future either. They, however, are proof of the human spirit. At least proof that there are good people. That is not enough, but it is something. Can it become more in the age of cyberspace and the global village? Time will tell. So far the opposite seems to be the case. "But when darkness comes and night sinks down over all the suffering and wretchedness then the masses split up and become individuals, each whispering in the dark a beloved name. "April 20, 1945. In that one sentence, Nansen captures the essence of the world that glorifies the rights of the individual and proceeds to exterminate him en masse, although at one point he writes "the language is exhausted.. I've exhausted it myself. There are no words left to describe the horrors I've seen with my own eyes. How am I to give even a reflection of the hell…" - this, as he recounts how young Nazi boys gleefully beat starving Jews with truncheons, kick them as they lie bloodied and dying. He doesn't spare us his disgust at those of his own countrymen who do not give a damn. In one of many acts of mercy, Nansen saves a ten year old Auschwitz Death March survivor who tells him all the details of the gas chambers. Nansen does this by giving the boy some of his own food, a boy whose nervous hands belie his sweet smile and cause Nansen to write "even though I'm pretty thoroughly hardened…these little smiling replies of his came down on me like bombs." This young boy grew up to be a Justice at the International Court at Hague and wrote the preface to the new edition of the book. Nansen himself continued his humanitarian work until his death in 1973. That must mean something. Re-publishing his book may mean as much.